For Tom and Judy Abbott, the rewards of their farming enterprise come in different ways. WEST GARDINER — With the sun reflecting off the disappearing layer of snow, Judy Abbott was enjoying a calm moment Saturday morning. The turkeys that she and her husband Tom raise at Foggy Moon Farm had been shipped off the day before for processing, and customers who have reserved birds will stop by to pick up their birds on Tuesday and Wednesday evening. Despite Saturday’s short lull, the weeks leading up to the winter holiday season are the busiest for Judy and Tom Abbott. While all the holiday turkeys and pork were all spoken for by the end of September, the care and feeding continues. 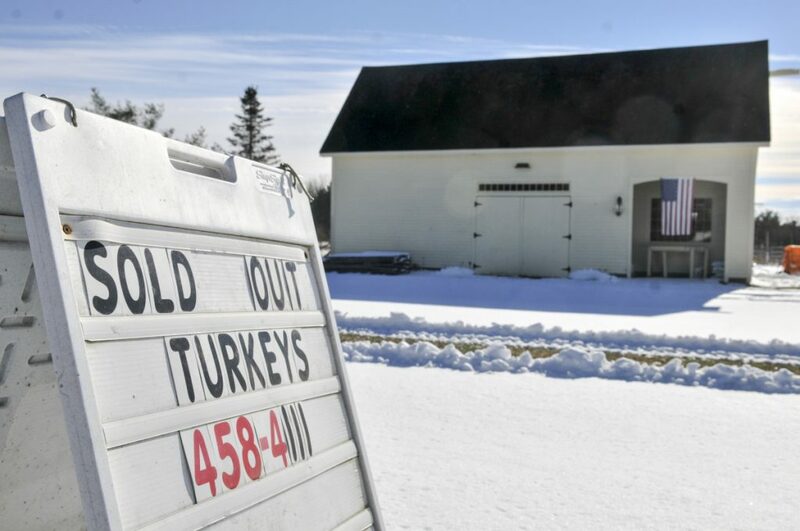 For 15 years, they have been raising and selling turkeys from their West Gardiner farm. About five years ago, they added pigs and two years later, they added cattle. “The hardest time of the year is when everyone starts eating more,” Abbott said. Before Tom Abbott left on a recent trip, he filled the turkey feeders with 15 50-pound bags, and Judy Abbot has since added five more bags. The 10 pigs, which will be sent to market during the second week in December, are eating 150 pounds of food a day, she said. Tom Abbott had also loaded up the hay feeder for the cows and it was empty on Saturday. “I would be panicked about that if I didn’t have in the back of my mind that before the day is over the grass will be showing in field, and Tom can put two bales in the feeder in the morning,” she said. 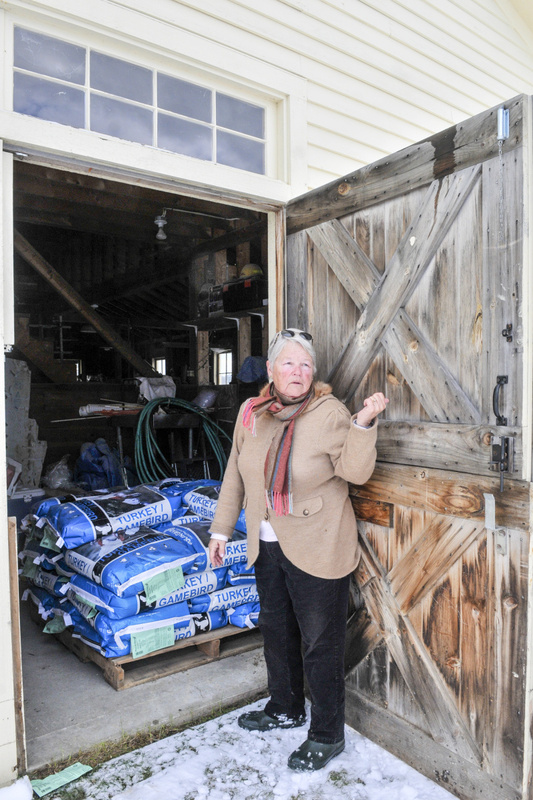 Judy Abbott leads a tour of the barn on Saturday at Foggy Moon Farm in West Gardiner. Growing the business has been an exercise in planning — how many chicks need to be ordered to accommodate for losses, how long a growing season is, when to send the animals for processing and how to grow their herd of cattle. Tom Abbott is a former dean at the University of Maine at Augusta and currently works as project manager for the university’s unmanned aircraft systems program, and Judy Abbott was a financial advisor, stock broker and insurance agent before she sold that business. “When we bought the house, we always knew we would have a farm here,” Judy Abbott said, sitting in the sun room converted from the farm’s original milk room with a view of the fields behind the house. For the Abbotts, who moved to West Gardiner in 1979, the enterprise had roots in both their childhoods. 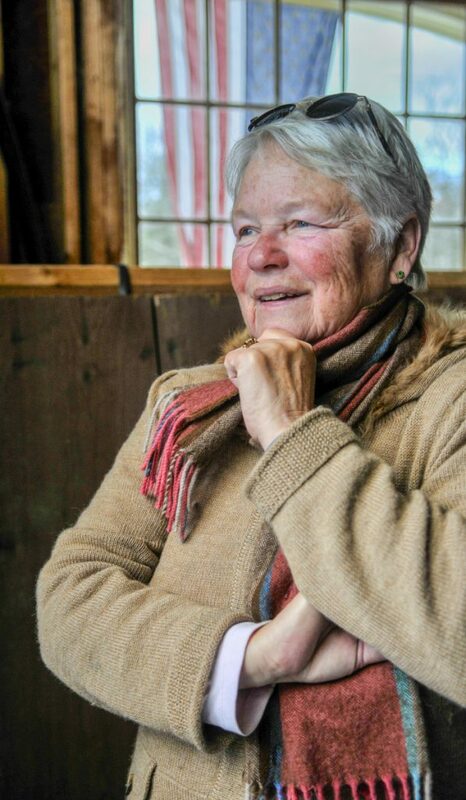 Judy Abbott’s grandfather earned a degree in agriculture at the University of Maine and managed farms throughout his life. The Portland neighborhood where she grew up was populated with small farms and her father grew vegetables. Tom worked summers on a farm in Sanford. The when, she said, came about 15 years ago when her husband announced he couldn’t wait any longer, and headed out to build a pen for the turkeys. This year, the routine of daily chores was complicated by weather. The cold snap before Friday’s snow storm froze water sources solid, and Abbott had to take a sledgehammer to the ice in the bulls’ water supply so she could pull out the heating element and test to see whether it was working. 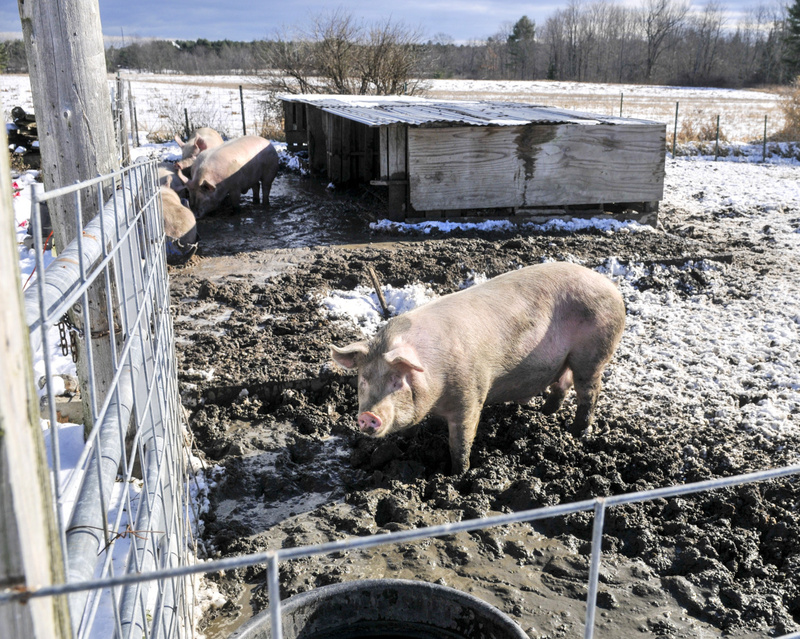 “The pigs’ water froze, but I put a big tub in there, and it hasn’t frozen yet,” she said, and the turkeys were smart enough to peck at the puddles in their yard. The turkeys have gone to slaughterhouse but there are still pigs at Foggy Moon Farm on Saturday in West Gardiner. “There are days when it can be so stressful,” she said. Abbott said the quality of turkey is the best she’s ever had. Part of the equation is what the animals eat. Along with the high quality grains, the animals get excess zucchini, summer squash and dropped fruit and it makes a difference in the quality of the meat. The vegetables come from Farmer Kev’s, just down the road. Kevin Leavitt, owner of Farmer Kev’s, said the vegetables that go to Foggy Moon farms would otherwise go to waste; they are oversized squash and what’s left in the field. In exchange, he said, he gets turkeys that he can give to employees. For the Abbotts, part of the reward comes through anticipated profit. They make money on the turkeys, but not on the pigs. Abbott said if they raised the prices on the pigs, which they sell by quarters, halves or whole pigs, they would price themselves out of the market. Adding cattle to the operation will turn that around. They plan to breed cattle and build a herd, and Judy Abbott has plans to build a creamery to make cheese. “It will pay for itself,” she said. The enterprise offers rewards other than money. Every year, she said, she gets to greet her customers at the barn door when they come to pick up their birds and wish them a happy Thanksgiving. “The quality product is what pleases me and makes me excited about doing this, and it’s how pleased my clients are that they have such a delicious Thanksgiving turkey,” Abbott said.